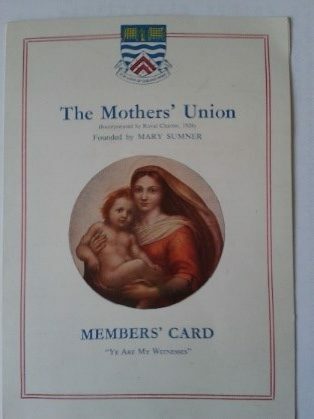 The Mothers’ Union was founded in 1876 by Mary Sumner, a clergyman’s wife living near Old Alresford, who became concerned about how local mothers related their Christian faith to family life. She sought to bring them together to strengthen, safeguard and promote Christian family life. In 1896 the Central council of M.U. was formed and the first Central Constitution was agreed unifying members across dioceses into a national union with Mary Sumner as president. 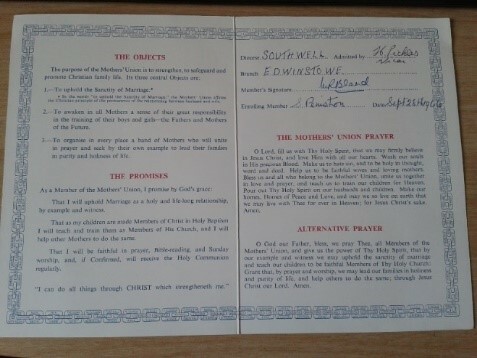 Members agreed objectives and a central vision that marriage, parenting and prayer were key to the future of families. Apparently a MU Branch opened in Edwinstowe in 1891 but closed in 1903. 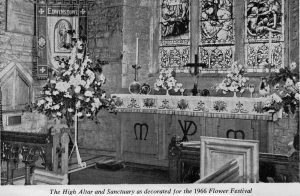 However, in the November 1924 edition of the Edwinstowe Parish Magazine the Ref. 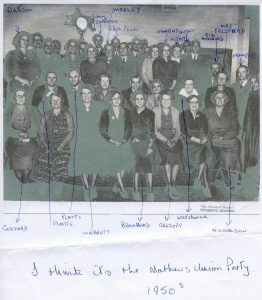 Frank Cecil Day-Lewis indicated that he was anxious that a regularly constituted branch of the Mothers’ Union should be formed in the parish. 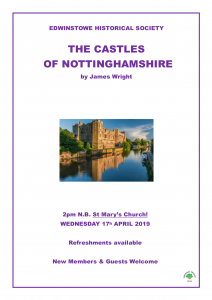 With that object in view he had arranged for a meeting in the Church House on Thursday, November 27th, at 2.30 p.m. He had secured two most excellent speakers. 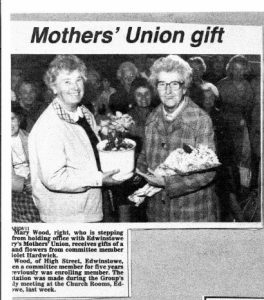 The Lady Elinor Denison, one of the Vice-Presidents, who would speak on “The Aims and Objects of the Mothers’ Union”, and Mrs. Griffiths, who would speak on the subject of “Home Life”. Later on hand bills relative to the meeting would be left in every home. 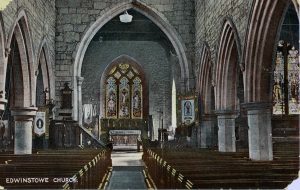 He felt certain that there was not a single mother in the parish who would not try to support the meeting and become a member when the objects of it were known. 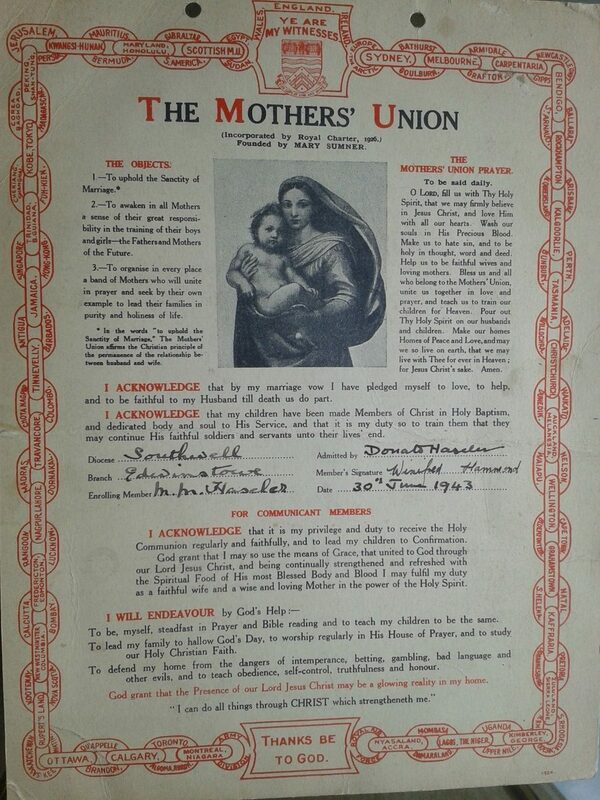 They were (1) To uphold the sanctity of marriage (2) to awaken in all mothers a sense of their great responsibility in the training of their boys and girls, the fathers and mothers of the future. (3) To organise in every place a band of mothers who would unite in prayer, and seek by their own example to lead their families in holiness and purity of life. He repeated that he didn’t believe there was a single mother in the parish who would not be eager and anxious to help forward such ideals. 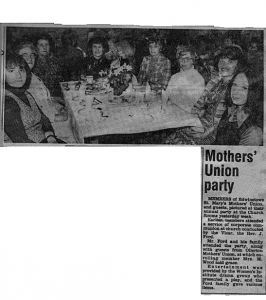 He continued to say that it was not generally known, but it was a fact, that so great and widespread was the influence of the Mothers’ Union that the heads of it had been consulted again and again by Parliament in matters pertaining to women’s questions and legislation. He hoped there would be a great meeting and a subsequent strong branch. 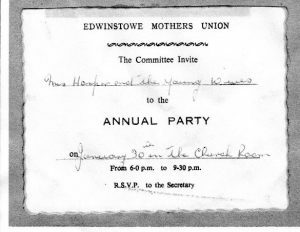 In 1966, when her sons started their education at St. Mary’s Church of England School, Edwinstowe, Mrs. Muriel Bland (who later became one of the Treasurers) was encouraged to join the Edwinstowe Mothers’ Union, which was inaugurated in 1930, and met in the Church Rooms on the last Wednesday of the month. 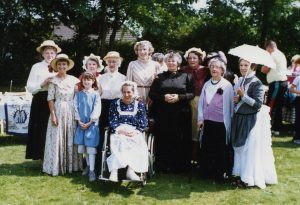 The rapidly changing face of society brought great changes within the Anglican Church and therefore to members of the Mothers’ Union. 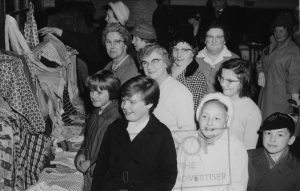 New issues, such as the ordination of women, homosexuality, increased awareness of acute poverty in the developing world and our global responsibilities to address the inequalities within both developed and developing world societies all became issues where Mothers’ Union members wanted to witness and answer God’s call within their sphere of ministry. 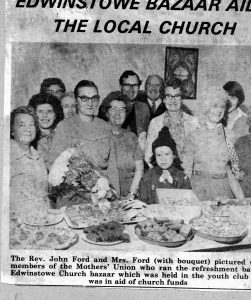 In the Church Magazine,1973, the Vicar, Mr. Pickles, reported on “New Dimensions”, the name given to the book completed in 1972 by the Church commissioners into the reconstruction of the Mothers’ Union which had been one of the most successful organisations in the Anglican communion and had a clear and definite vocation in the Church with regard to family life as a whole. It was felt that its influence on the stablity of marriage should not be lost. To promote and support married life. To encourage parents in their role to develop the faith of their children. To maintain a worldwide fellowship of Christians united in prayer, worship and service. To promote conditions in society favourable to stable family life and the protection of children. 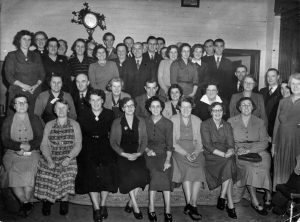 Locally, some of the past Enrolling Members (in later years to become known as Branch Leaders) have included Mrs. Greenfield, Mrs. Gray, Mrs. Naish, Mrs. Sarah Peniston, Mrs. Mary Wood, Mrs. Nightingale and Mrs Betty Allen. Members enjoyed illustrated talks by speakers on current issues e.g. 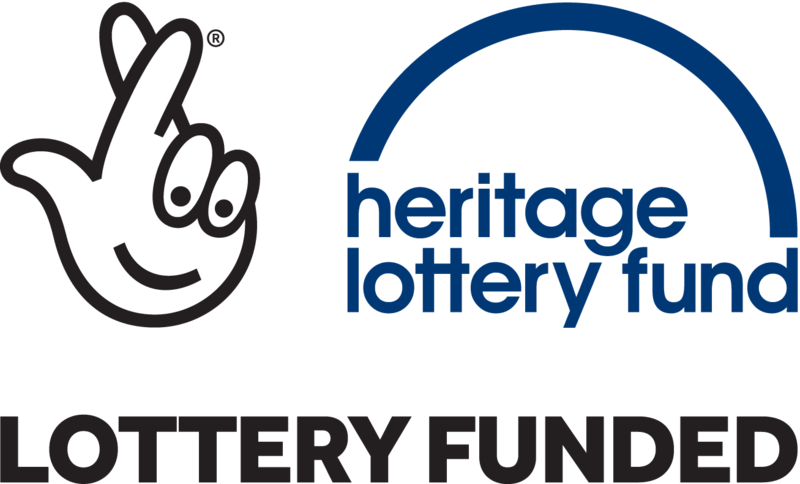 Christian Aid, NSPCC, Children’s Society, Family Care and sometimes on travel experiences. Perhaps, because it was closer to home, one of the most poignant talks was that given by Mrs. Birdsell in 1952 when she spoke of her journey to Canada and her experience during the year she spent at Vancouver Island where her son, Ernie, was a hospital patient after his accident at sea. “One of our committee members admitted to hospital for an operation. (Mrs. D Waller) thankfully she is now at home making steady progress. Another committee member’s husband was taken into hospital with a serious illness (Mrs. W Mellors). 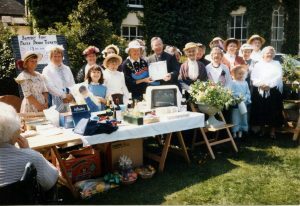 Fund raising events, such as a sponsored knit, the summer and Christmas Fayres, Coffee Mornings and Jumble Sales, have benefited St. Mary’s Church, the Church Rooms, Church of England Children’s Homes, and other charities. 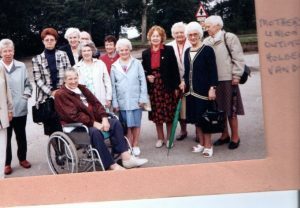 On a number of occasions, children from the Society’s Ernest Bailey Home at Matlock visited Edwinstowe and the forest. 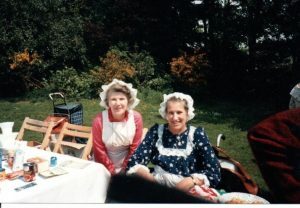 All enjoyed the tea and games prepared for them in the Church Rooms. 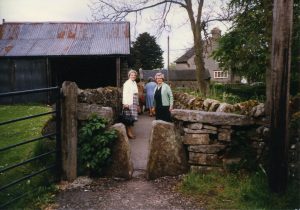 Outings were popular and included visits to various destinations in Lincolnshire, Nottinghamshire, Yorkshire and Cheshire. 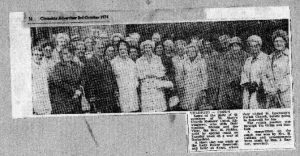 Jenny Flint, Joan Cheshire, Betty Allen, Elsie Hunter, Graham Howbrook and Joan, Muriel Bland, Doreen Mallinder, Joan Almond, ? Cowlard, Norah Smith, ? Nightingale, Madge Burton. 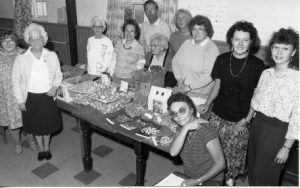 Muriel Bland, Joan Howbrook, ?, Norah Heald. 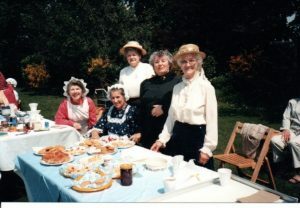 Mr. G Beniston, Mrs. Bailey (Perlethorpe), Mrs. Nightingale, Mrs. Mary Wood, Rev. 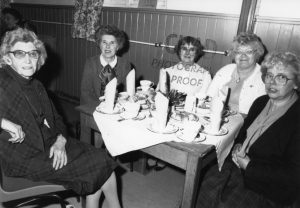 H Pickles, Mavis Latham, Joan Howbrook, Muriel Bland, Mrs. Harding. 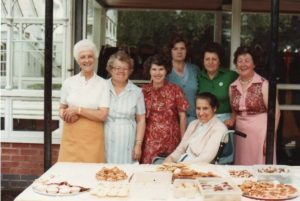 Garden Party at Edwinstowe Hall 1983. 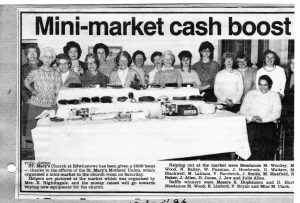 Edith Nightingale, Mavis Latham, Muriel Bland, Marian Woolley, Jenny Hurt, ?, Joan Howbrook. 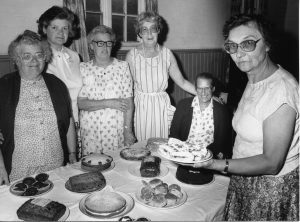 The Annual Deanery Festival is an important date in the Mothers’ Union calendar. 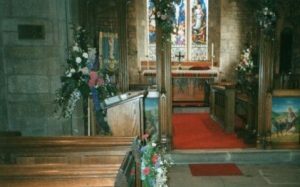 The Worksop Deanery has 7 branches, and each branch takes it in turn to be host at the Annual Deanery Festival. 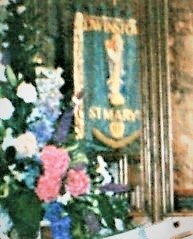 The banner has 7 motifs, one representing each branch. 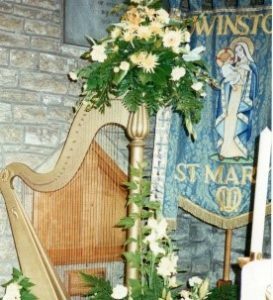 The Edwinstowe motif depicts Robin Hood and Sherwood Forest, beautifully embroidered and was the work of Mrs. Sarah Peniston. At the Festival a representative from each Branch carries her own banner into church. 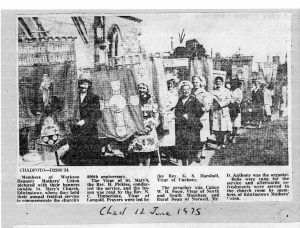 The photographs show the Edwinstowe Mothers’ Union banner in St. Mary’s Church, during one of the Flower Festivals. Unfortunately, there is no trace or record of what happened to the banner. 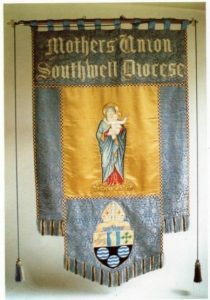 It is possible it was too badly worn to retain or, as sometimes happens, some banners were sent overseas many years ago, to help new branches see what banners were like. 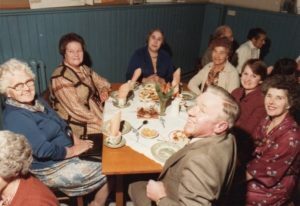 Other popular events are the Shove Tuesday Whist Drive and Afternoon Tea, and Lady Day. Mrs. Freeman, Wood, Rayner, Cartledge, Peniston, Birdsell, Hall, Wilkinson, K. Hardy. n.d.
Mrs. Hammond, Mrs. Wilkinson, Mrs. Jopling, Mrs. Morley, Mrs. Peniston. 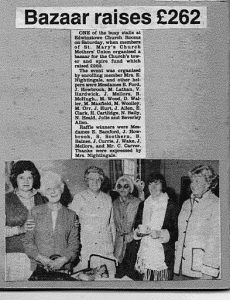 Mothers’ Union Coffee Morning n.d.. M Woolley, ?? J Howbrook, ? 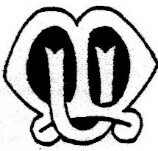 M.U. 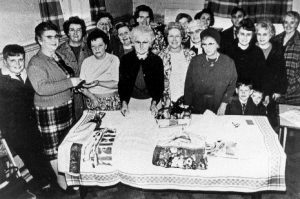 Party : Dora Gibson, Muriel Bland, Jean Smith, ? ? “This is the year that will be remembered with sadness, as the branch members came to the decision to close the branch at the end of 2002. It was a decision not taken lightly but realistically. 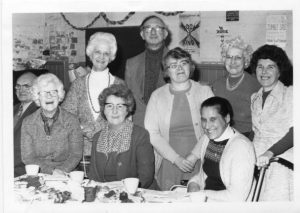 The branch has not really closed but it is in abeyance, just waiting for the right people with a drive to continue the work of the Mothers’ Union here in Edwinstowe. 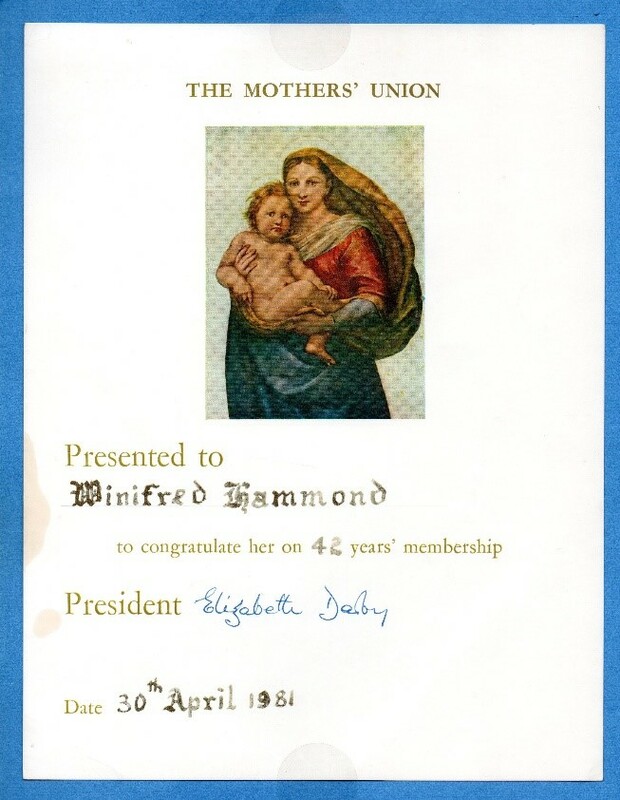 “I have only been a member for 15 years, but in that short time I have learnt so much of what Mary Sumner had achieved; over 125 years the Mothers’ Union has never wavered from its aims – Family Life, with all its joys and sorrows.